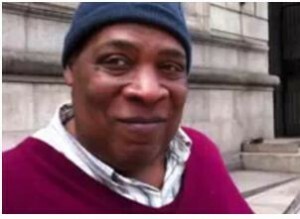 Maurice Johnson, 55, currently homeless and living in a Boston municipal shelter, has been unemployed since November. But that may change soon, because he is a rising media star. He may not have a home, but he does have a “home page” of sorts—at LinkedIn, where he has posted a resume that mentions two degrees, from Dartmouth and Purdue and experience as a “Senior Research Engineer at Lockheed Aerospace” and “Applied Physicist at Aerodyne Research Corporation”. He is also the featured interviewee in a YouTube video that has attracted the attention of some heavyweight online-news organizations, such as Huffingtonpost.com and Time.com. Inconsistently reported in mainstream media as an unemployed and homeless Ph.D. in plasma physics (www.theblaze.com) with two master’s degrees (one in engineering and one in acoustics) or as having “just” the two master’s degrees (Huffington, Time), Johnson has become a poster child for the un-and underemployed. The details of his story, including the well-publicized YouTube Boston interview, can be found all over the Net, with the Huffington Post article and video about him serving as a good sample treatment. Even though blogosphere response to his tale has been intense, the focus of this report is something other than the vivid and poignant details of his employment and housing challenges or their accuracy and veracity. It’s the issue of “homepagelessness”. Homepagelessness can afflict not only the unemployed and homeless, but also employed recruiters. Although almost certainly a rarity among recruiters, the homepageless recruiter, viz., one with no online presence whatsoever—either in the form of a LinkedIn profile, a Facebook page, an independent agency website, a YouTube video or an umbrella corporate website—needs to catch up with the 21st century and Maurice Johnson, whose YouTube video interview and LinkedIn profile have plucked him from the masses of the unemployed and obscure and propelled him into Net celebrity (even if not on the scale that similarly “discovered” Justin Beiber enjoyed after his amateur(ish) Stratford, Ontario sidewalk debut videos on YouTube got noticed by promoter Scooter Braun). Reminder that you and your professional expertise still exist, even if not currently utilized. Even for those who are not homeless, having a home-page or other online professional presence serves the same psychological purpose as the Star-Spangled Banner—a reminder that your personal flag and you are “still there”. Reassurance that, no matter what, you still have a secure base—one you can call “home” or at least “home page”. Such a sense of security, however tenuous, can be crucial to staying emotionally afloat. Reinforcement of your values, value and goals: With the “home page” as a personal mirror, you can validate yourself and reinforce your identity. Recognition that you don’t need a fixed physical space or address to run your business: It is psychologically, as well as professionally liberating, to know that you can reach out and be reached anywhere in the world. Regular proactive behavior, to the extent that you have to monitor, update and beef up your page(s). This can be a subtle, but valuable, morale mainstay during professional dry spells. You can be absolutely certain that Maurice Johnson’s YouTube and LinkedIn “homes” are providing him with not only valuable, helpful professional and media exposure, but also with all of the foregoing psychological benefits, including a comforting, perhaps inspiring, sense of place in the scheme of things, if not yet a place he can literally call “home”. If, as is virtually certainly the case, you have both a home and some kind of “home page”, you can still note, appreciate and cultivate the listed benefits of overcoming homepagelessness. What’s more, you may want to consider setting up an additional “home”, e.g., a YouTube video or an additional social media site. Having a second or third home is not just a luxury for the rich. Online, it may be a necessity for those who want to be rich. As for those who are truly homeless, having at least one online home may make the difference between being psychologically or otherwise able to home in on a job (and a home) and being forced to hit real highways instead of the what then Vice-President Al Gore memorably and presciently called in 1993 the “information superhighway”.